Who Got Voted Off Dancing With The Stars 09/27/11? Tonight we will find out who will be the second couple kicked off Dancing with The Stars Season 13. Last night the contestants took to the dance floor to dance the Quick Step and the Jive. If you missed last night’s show you can read our official recap here! At the top of the leaderboard is Ricki Lake & Derek Hough with a 23. They are followed closely by Kristin Cavallari & Mark Ballas and J.R. Martinez & Karina Smirnoff with a 22. At the bottom of the leaderboard is Chaz Bono & Lacey Schwimmer. It is only week two but you usually can see someone that starts to pull ahead. This season the only person who looks like he may pull ahead is J.R. Martinez. He is great and you can see he is going to become very good. On our poll conducted today viewers are tied on who they think will go home, Chaz Bono got 43 % of the votes while Elisabetta got 42% of the votes. We will see tonight if they were right! Keep coming back often as we are live blogging the show with up to the minute results! Tonight’s show will feature Demi Lovato and Script. The judges asked Ricki Lake and Professional Dancer Derek Hough to do an encore of their Jive. First up tonight Carson Kressley and Professional Dancer Anna Trebunskaya are safe and David Arquette and Professional Dancer Kym Johnson are in jeopardy. The next team safe Ricki Lake and Professional Dancer Derek Hough and also Kristin Cavalleri and Professional Dancer Mark Ballas safe. Also around to dance another week Jr. Martinez and Professional Dancer Karina Smirnoff and Rob Kardashian and Professional Dancer Cheryl Burke . Chaz Bono and Professional Dancer Lacey Schwimmer are in jeopardy and Nancy Grace and Professional Dancer Tristan McManus are safe. Chynna Phillips and Professional Dancer Tony Dovolani are safe and Hope Solis and Professional Dancer Maksim Chmerkovskiy are safe. Elisabetta Canalis and and Professional Dancer Val Chmerkovskiy are in jeopardy. Chaz Bono and Professional Dancer Lacey Schwimmer ARE SAFE! Thank goodness David Arquette and Professional Dancer Kym Johnson ARE SAFE! GOING HOME – Elisabetta Canalis and and Professional Dancer Val Chmerkovskiy!!!!! Dancing With The Stars Season 12 Cast Revealed! Confirmed: Chaz Bono Will Do Dancing With The Stars! 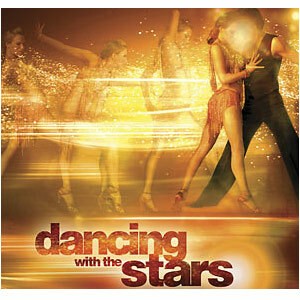 Official New 2011 Dancing With The Stars Season 13 Cast Announced! POLL: Who will Be Eliminated From Dancing With The Stars 09/27/2011?